butterfliesanddaisies has no other items for sale. 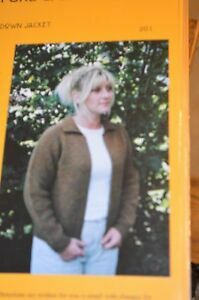 Neck Down Long Hooded Cardigan Knitting Pure & Simple Pattern #225 XS-XL 36"-52"
V Neck Neckdown Cardigan Women Knitting Pure & Simple Pattern #994 XS-XL 36"-52"
Basic Cardigan Vest for Women Knitting Pure & Simple Pattern #995 XS-XL 33"-46"
Neck Down Swing Coat Button Knitting Pure & Simple Pattern #285 XS-2X 32"-52"
Kimono Style Cardigan Sweater Knitting Pure & Simple Pattern #282 XS-2X 30"-46"
Neck Down Scoop Neck Cardigan Knitting Pure & Simple Pattern #278 XS-2X 32"-52"
I only ship to verified paypal addresses. Thank you!